As part of the larger NextCare Urgent Care, this clinic has affiliates with the closest other clinic being in Richardson about 4.5 miles away and is open today from 8:00am to 8:00pm. 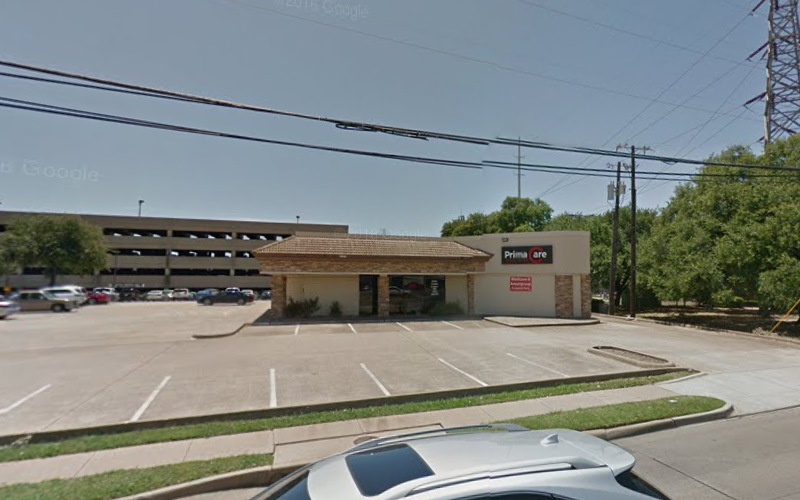 Recognized favorably amongst their patients, PrimaCare Medical Center, Dallas (Beltline Road) has an average rating of 4.6 stars out of 5 based on 647 total ratings. In fact, recent patients have frequently used words such as "bedside manner" to describe their experience at the clinic. Certainly not terms you hear about healthcare providers too frequently! The nurse who cared for me was very sweet and caring. She was professional yet friendly. The PA-C was attentive and thorough. Every person we came in contact with seemed knowledgeable about there expertise . Even our prescription was sent to our chosen pharmacy . Recommend due to skills and respect for patients time. Great service. It was a short visit, the staff took great care of me and got me the correct prescriptions. Came in for a physical and all went well. Friendly staff and short wait time made it easy. First time in this type of health care premises and I was very pleased with the services I received, considering how sick I was feeling. The girl that was working the front desk tonight was terrible. She was snapping at patients and being rude. Others in the waiting room were also commenting on her attitude. Dr and Nurse were excellent. Always very professional and courteous staff!